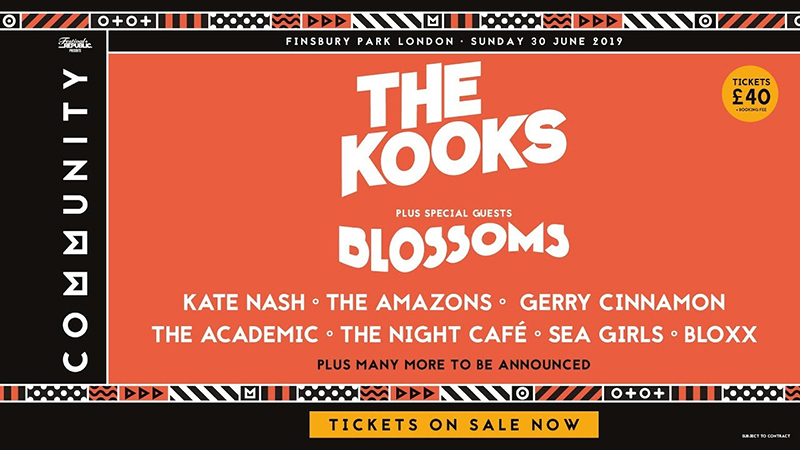 The Kooks · Blossoms · Kate Nash · The Amazons · Gerry Cinnamon · The Academic · The Night Café · Sea Girls · BLOXX + more TBA! Tickets are now available to purchase for Community 2019 and for the bargain price of only £40 (+ booking fee). That’s like £6 per band, and there’s still tons more to be announced!